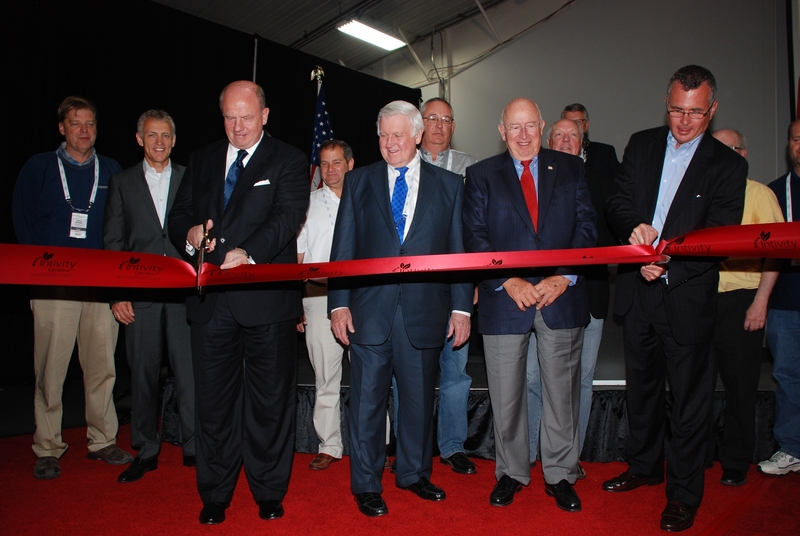 AGCO celebrates the grand opening of Intivity Center and the 75,000-square-foot expansion of its Jackson, Minn., manufacturing center. The investment brings production of Challenger and Massey Ferguson high-horsepower wheeled row crop tractors to North America — a decision that was announced in early 2011. The manufacturing center expansion will contribute more than $17 million dollars and 200 jobs to the local economy, bringing the total number of professional, support and skilled manufacturing positions at the facility to 1,050. Intivity Center, a 17,000-square-foot, state-of-the-art visitor center, is AGCO’s first welcome center in North America, and showcases the farmer-focused innovation behind the brands upon which the company has been built.